South Australia’s environment, economy, population and social landscape are vulnerable to the potential effects of climate change. These effects are likely to have strong impacts on our regional communities. Because of this, the risks, consequences, outcomes and opportunities for adaptation must be understood. This is the focus of the ‘Adapting to climate change in SA: Human Dimensions of Transect Project’ funded by the Premier’s Science and Research Fund. The project is a collaborative one involving the University of Adelaide, University of South Australia and Flinders University. A wide range of government, industry and community stakeholders are involved in the implementation of the project which is designed to inform adaptation planning in South Australia. To help understand and make decisions about the impacts of environmental change on communities, we are developing a Spatial Decision Support System to provide decision-makers with access to tools and information to better understand and monitor the human dimensions of climate change. The Spatial Decision Support System will monitor current human dimensions of climate change, as well as create a baseline and structure for the future monitoring, assessment, and response to the social, economic and cultural aspects of climate change in South Australia. 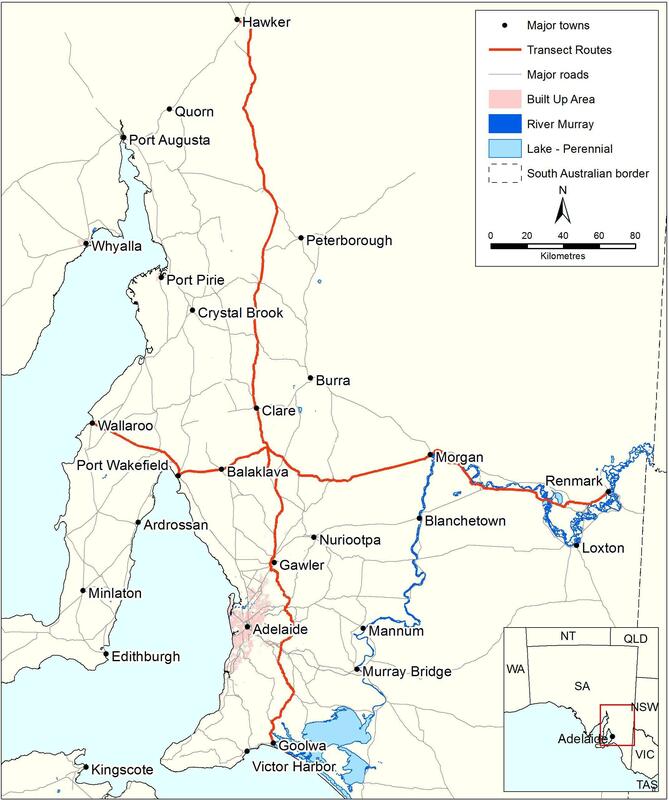 The Human Dimensions group is focusing on two South Australian transects. The North-South transect extends from Hawker to Goolwa and the East-West transect from Renmark to Wallaroo. These transects include a range of natural ecosystems, urban and rural communities, land uses and tenures, and regions of economic and environmental importance. The TREND Human Dimensions group is working on three key projects focusing on key social issues, which will feed in to a single decision support system. Our work will build a broader understanding of climate change adaption in South Australia, and will provide a strong foundation to develop South Australia’s capacity for new projects and collaborations in this area. The aim of this project is to examine rural landholder acceptability of climate change and the barriers and facilitators of rural adaptation in South Australia. In particular, we will investigate the ability of regional communities and landholders to adapt to a changing environment, focusing on what factors help or limit this process. We are working with grain and grape growers from the Fleurieu Peninsula, Mid North and Riverland to understand the current challenges facing rural landholders across the state, community attitudes to these threats, and how communities can work together to address them. 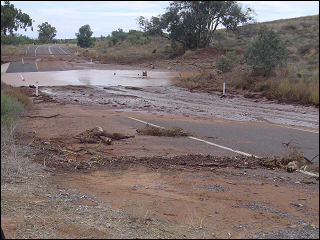 Changes in South Australia’s climate pose a significant risk to infrastructure including roads, bridges and buildings as well as water, energy and communications networks. We are working with infrastructure owners, managers and long-term operators to understand the likely impacts of climate change on South Australia’s infrastructure and built environment. We will then determine which infrastructure and facilities are most at risk, and outline the opportunities for adaptation responses. Combining information about infrastructure condition, the local environment and weather conditions, and community and governance structure allows us to determine how communities can best ensure that their vital infrastructure is maintained to protect our rural communities, and agriculture and mining industries. This project is led by the Institute for Sustainable Systems and Technologies at the University of South Australia, with key contributions from all collaborating partners. We are investigating land use change over the last decade using GIS data held by the State government. This will show modification of agricultural lands due to changes in rainfall or water availability, changes in native vegetation cover, urban expansion and other changes over time. We will combine this with talking to local communities to understand their experiences and knowledge of their area, changes they have observed and the attitudes they hold. Data collected from the Human Dimensions group will be combined with existing data in a GIS-based Spatial Decision Support System. This system will enable regional stakeholders and decision makers to see our data, generate maps and view the results of our research. The Spatial Decision Support System functionality will expand over time enabling users to query the data, add own data layers, and generate statistics. The project will provide the basis for participation of a wide range of stakeholders and decision makers in South Australia. Click here to see the locations of the human dimensions transects in South Australia.